In a tournament filled with upsets and lower seeds, the last day of the Elite Eight gave us two number one seeds moving on to the Final Four: Villanova and Kansas, leaving Texas Tech and Duke behind. #3 Texas Tech 59 #1 Villanova 71: The overall quality and depth of the Wildcats were shown once again from start to finish against the Red Raiders, with five players in double digits led by Jalen Brunson, having one terrific tournament. 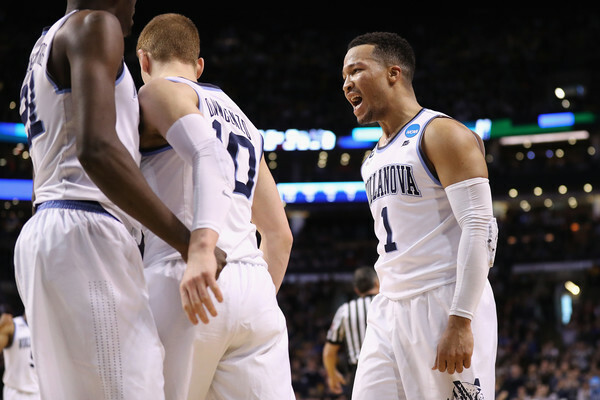 Villanova opened a 13-point lead at halftime at never seemed at risk of letting it slip away. Eric Paschall helped out with 12 points and 14 rebounds, helping Villanova to its first Final Four since winning it all in 2016, and 6th overall. 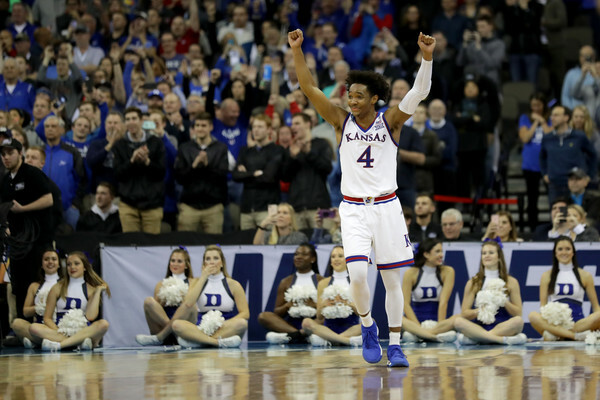 #2 Duke 81 #1 Kansas 85: A huge overtime win for Kansas, as the Jayhawks advance to the Final Four for the first time since 2012, when they made the championship game and lost to Kentucky. Overall this is the 15th Final Four appearance for Kansas, 5th all-time. Duke and Coach K will probably lament going to Grayson Allen so many times. The senior finished with 12 points on 3-for-13 from the field, including missing a shot that would have won the game. In overtime, Malik Newman scored all of Kansas’ 13 points, finishing with 32 in his most impressive performance of the tournament.